The laws that apply will depend on your business structure. A company must file its annual returns with the Accounting and Corporate Regulatory Authority (ACRA) while sole proprietors do not. Only limited liability partnerships are required to make an "Annual Declaration" to ACRA. Only partnerships and sole proprietors need to renew their business registrations annually. If you are doing business in Singapore, you are expected to comply with the legal obligations or face penalties for non-compliance. Rules relating to Sole Proprietors and Partnerships. Rules relating to Limited Liability Partnerships. 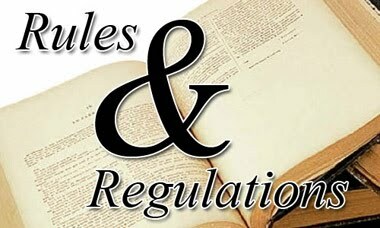 Rules relating to Companies (private and public). The media industry is regulated by the Media Development Authority (MDA). You have to abide by the rules and regulations such as obtaining a Dealer’s Licence to import or sell any broadcasting apparatus in Singapore. The telecommunications industry is regulated by the Infocomm Development Authority of Singapore (IDA). If you intend to buy, sell or trade in mobile phones, you will need to obtain a Dealer's Licence. If you want to sell cigarettes on your premises, you will need a Tobacco Retail Licence from the Health Sciences Authority (HSA). If you wish to display outdoor advertisements, you will need an Advertising Licence from the Building & Construction Authority (BCA). In order to obtain the necessary licences, permits or Government approvals, businesses will often have to comply with certain rules and regulations. All businesses in Singapore should be familiar with the tax laws and comply with their tax obligations. Tax on good and services consumed locally. Tax on legal and commercial documents. 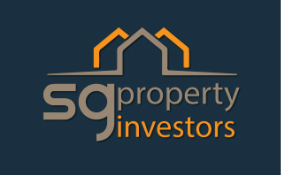 Tax on property in Singapore. Surcharge on property in Singapore. Tax on personal and business income. Tax evasion is a serious offence that can result in a heavy fine and/or jail term. Businesses need to be vigilant in filing and paying taxes on time. There are many legal obligations you need to pay attention to when it comes to hiring people. You need to follow guidelines as set out in the Employment Act, contribute to the Central Provident Fund (CPF) and Skills Development Levy (SDF). Tax matters regarding preparation of the IR8A and Appendix 8A/B forms for your employees to file their taxes also need to be looked into. Ensure you comply with occupational safety and health laws as well by adhering to the Workplace Safety and Health Act and Workmen’s Compensation Act. If you intend to sell or market online, you have to comply with certain regulations. All online content providers must comply with the Internet Code of Practice set by the Media Development Authority (MDA). Take note of the Spam Control Act. You need to follow guidelines like adding an label when sending bulk advertising/promotional messages via email or SMS. See Legal Tips for more information. Should you need recommendation of a legal professional please do not hesitate to contact us.